Off the upcoming Connect The Dots LP from J.J. Brown, here is the latest leak "Froze Prose", which features Brooklyn Academy member Block McCloud and Demigodz affiliate Celph Titled. Connect The Dots hits stores this Tuesday so get out and show your support with a purchase of the album. Download: J.J. Brown feat. 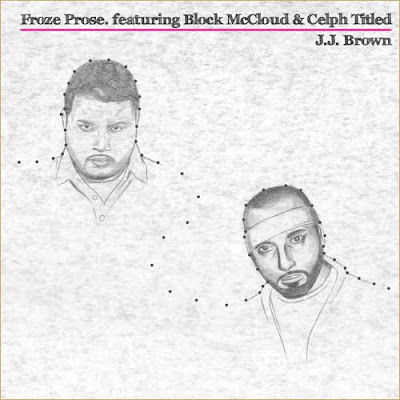 Block McCloud & Celph Titled - "Froze Prose"
Bonus: J.J. Brown - "The World's A Stage"